We’re counting down the days until the premiere of Netflix’s incredible, new series, No Good Nick and we can already tell that we’re going to be obsessed with this show. No Good Nick is going to mesmerize everyone, so we’re sharing five reasons why we’re extra excited to see No Good Nick premiering on April 15th! 1. The show stars an outstanding cast. No Good Nick stars fan-favorite actors and actresses that we all know and love! The series stars Melissa Joan Hart, Sean Astin, Siena Agudong, Kalama Epstein and Lauren Lindsey Donzis. Everyone is so magnificently talented and it’s clear to see that this phenomenal cast has great chemistry with each other both on and off set. We can’t wait to join this family when No Good Nick premieres on April 15th! 2. The story-line is so fascinating. According to the press release, “No Good Nick follows 13-year-old Nick, short for Nicole, who infiltrates a family with the intention to get revenge on them for unknowingly ruining her life.” This show sounds super interesting and we know that we are going to be glued to our screens wondering what will happen next! 3. We wonder if Nick will push through with her plan. Nick is certainly up to no good. She has no plans to get close with her new “family,” but once she gets to know them… does that all change?! We’re at the edge of our seats wondering if Nick will pursue her original plan or if she will have a change of heart. 4. We get to binge-watch the series starting on April 15th. There’s nothing quite like the feeling you get when you know you have a new show to binge-watch. 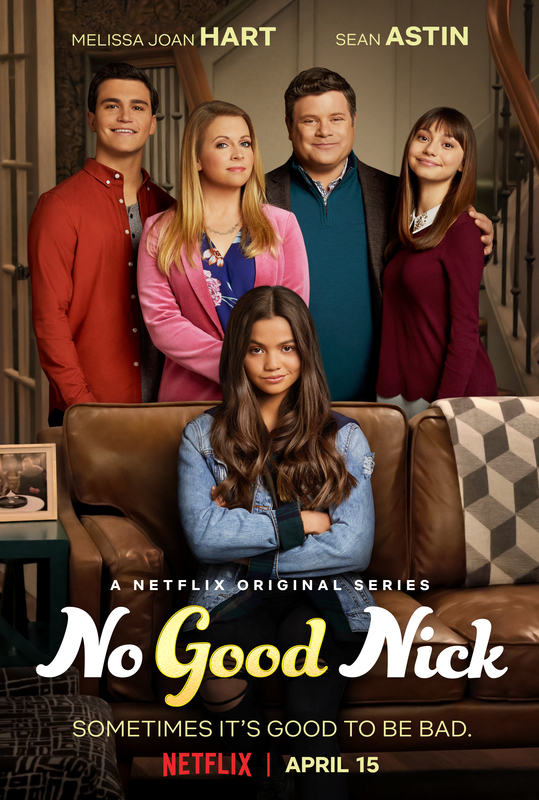 The cast and crew of No Good Nick has put so much passion into this project and we’re thrilled to see how this compelling story is brought to life. 5. This show is created and directed by geniuses! No Good Nick is created by David H. Steinberg and Keetgi Koogan. It is also directed by Andy Fickman. A show that is created by and directed by some of the most gifted and skillful individuals in the entertainment industry is bound to be a masterpiece. Be sure to check out the official trailer of No Good Nick below and watch my interview with cast-members: Siena Agudong, Lauren Lindsey Donzis and Kalama Epstein at the 2019 Nickelodeon Kids’ Choice Awards. Mark your calendars and get your popcorn and snacks ready as No Good Nick premieres April 15th on Netflix. Previous Article: 17 More Dates Have Been Added To Nickelodeon’s JoJo Siwa D.R.E.A.M. The Tour PLUS Siwa’s Second EP And New Music Video Set To Release This Week! Next Article: Calling All Foodies! Check Out The Full Line-Up For The Third Annual Los Angeles Times LA Food Bowl Here!